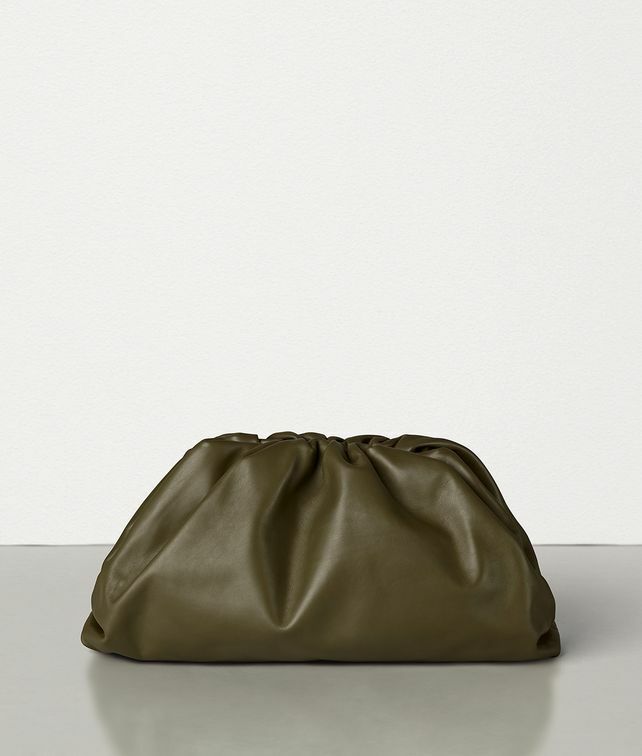 One of the first designs by Creative Director Daniel Lee, The Pouch is an oversized clutch made with soft folds of smooth butter calf leather that envelope the bag’s frame and create a voluminous rounded shape. New for Spring/Summer 2019, The Pouch reflects Bottega Veneta’s heritage of leather craftsmanship with a modern sensibility. •	Interior features a hardware ring to attach a matching card case, sold separately. Height: 20 cm | 7.8"
Depth: 19 cm | 7.4"
This item is available to pre-order. Your Credit Card will be charged solely when we ship out your order. The estimated shipping date for this item is: 17/06/2019. The estimated shipping date for this item is: 17/06/2019.